We are Grays Harbor's "hometown" garbage collection service. Since our founding in 2004, we have been committed to providing professional and friendly service, always putting our customers first. We provide a full array of residential and commercial sanitation services. Hometown Sanitation facilitates a voluntary recycling program. Even though the program is voluntary, all are encouraged to participate to help reduce disposal costs and to conserve natural resources. Garbage won't fit in your tote this week? No problem! 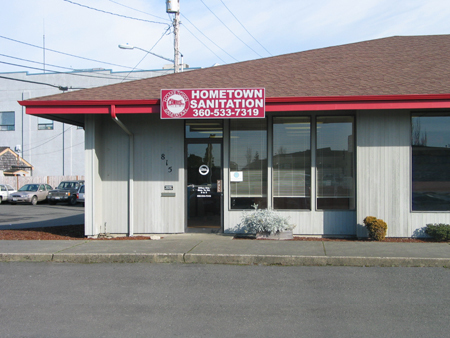 Hometown Sanitation's blue bags can be purchased ($14.00 for a package of 3) at our office in Hoquiam. You can also purchase extra garbage bags at Hoquiam Ace Hardware (located at 414 7th Street). Note that extra garbage bags can be used on an occasional basis only.